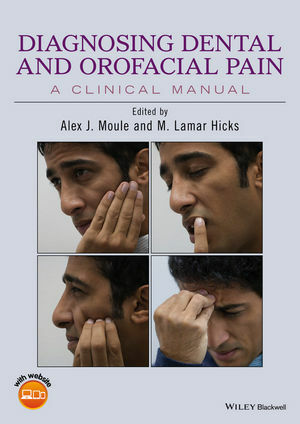 Diagnosing Dental and Orofacial Pain: A Clinical Manual approaches a complex topic in a uniquely practical way. This text offers valuable advice on ways to observe and communicate effectively with patients in pain, how to analyze a patients’ pain descriptions, and how to provide a proper diagnosis of orofacial pain problems that can arise from a myriad of sources—anywhere from teeth, joint and muscle pain, and paranasal sinuses to cluster headaches, neuralgias, neuropathic pain and viral infections. Alex J. Moule is an Associate Professor and Discipline Lead in Endodontics at the School of Dentistry, University of Queensland, Brisbane, Queensland, Australia. M. Lamar Hicks is Clinical Professor, Deans Faculty, Endodontics Division at the University of Maryland Dental School Baltimore, Maryland, USA.